Thank you for coming to my site! Please note that IncrEDIBLES by Lani is no longer accepting new orders. I am currently in the process of closing the business as I am moving and have been offered a wonderful position in a new family venture. It is bittersweet and I would like to take this opportunity to thank all of my IncrEDIBLE customers. Thank you for all of your support and love. It has been an amazing 7 years and I appreciate every single one of you! 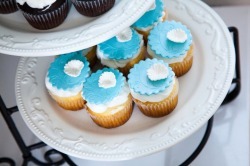 Remember that no occasion is complete without dessert!